Donations are always appreciated! The suggested donation for visiting the museum is $3.00 per person. Thank you! Please see our contact page for staff contact information. 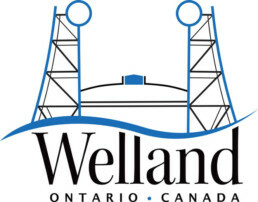 The mandate of the Welland Historical Museum is to collect, preserve, exhibit, and interpret objects and archival materials that serve to illustrate the historical founding, settlement and development of Welland, Pelham and area from prehistory to present. The museum will endeavor to grow with, and for the community, providing a source of knowledge and related programs on the heritage of Welland, Pelham and area for present and future generations. Take the Number 6 bus from the downtown terminal. This bus travels down King Street. Be sure to notify your bus driver of your destination. Bus stop is located on King Street, right in front of the main entrance to the museum. The downtown terminal is located at 160 East Main Street. The museum offers free parking for all museum patrons in the attached parking lot. Please obtain your parking pass at reception. Please note that the parking lot at the museum is for museum patrons only during regular operating hours. In accordance with By-law No. 89-2000, all other vehicles will be tagged or towed at the owner’s expense. Additional street/meter parking is available. The interior of the museum and the attached parking lot are under video surveillance. The museum provides a ramp to the front entrance. All 3 floors of the museum are accessible by elevator, and one fully accessible washroom is located on the lower level.